The International Committee of the Red Cross (ICRC), based in Switzerland, monitored conditions in prisoner of war (PoW) camps in the warring countries. These camps were inspected to ensure that both sides were meeting agreed international conditions for the care of PoWs. Using at most only forty-one delegates at any one time, the ICRC visited 524 camps in Western and Eastern Europe, North Africa, Russia and Japan. Swiss delegates from the ICRC inspecting a German prisoner of war camp. 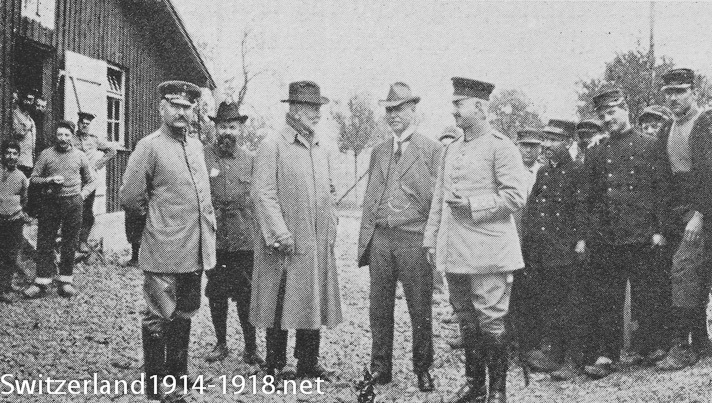 They are talking to the German guards, with French prisoners in the background. Food, hygiene and the state of the prisoners' quarters were the main focuses of attention during these visits. 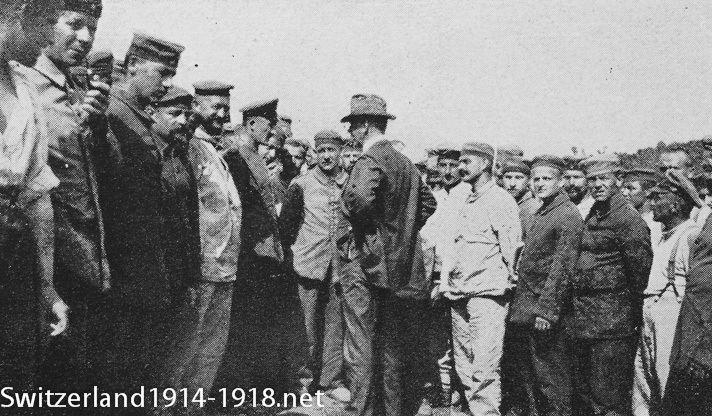 A Swiss ICRC delegate talking to German soldiers held prisoner in a PoW camp in France. The ICRC's reports on visits to individual camps were published, sharing the information with the general public and enabling the ICRC to put pressure on any nation which did not meet the standards. 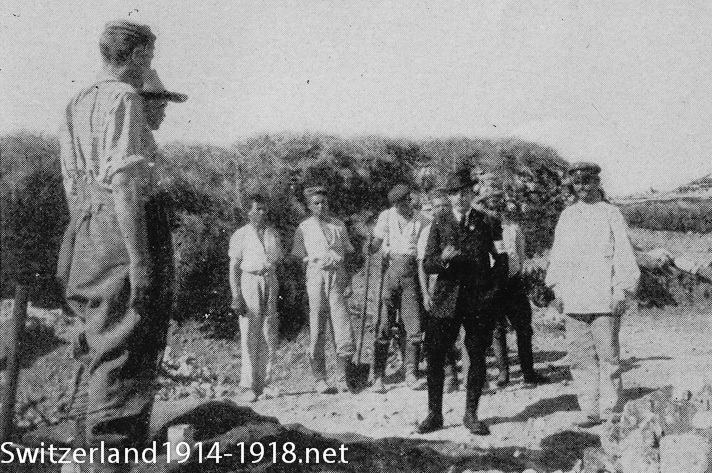 An ICRC inspection of a French PoW camp for German troops, in Morocco, North Africa. 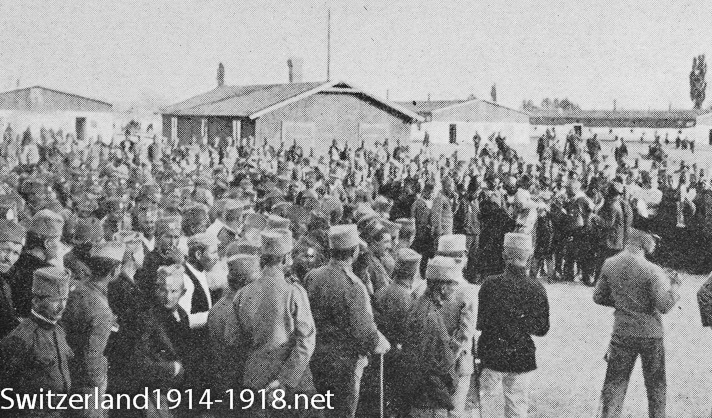 Italian troops in at PoW camp in Hungary, during an inspection by the ICRC. For more information, see the ICRC's website on prisoner of war camps. Click here to find out about prisoners of war interned in Switzerland.